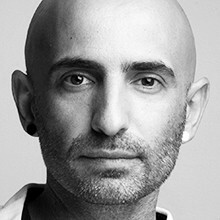 Acclaimed for his dynamic and innovative choreography, Barcelona-born Rafael Bonachela is Artistic Director of the Sydney Dance Company. In 2011, he won the Australian Dance Award for Most Outstanding Choreography. Rafael began his early dance training in Spain before moving to London and joining the Rambert Dance Company. He remained with the legendary company as a dancer and Associate Choreographer until 2006, when he set up Bonachela Dance Company. As his reputation grew, Rafael received countless choreographic commissions from companies around the world. In 2008, he premiered his full-length production ‘360°’ for the Sydney Dance Company and less than six months later was appointed to his current role. His vision for the company has seen the repertoire grow, with commissioned dance works from Australian and international guest choreographers being performed alongside his own creations. Rafael engages not only with contemporary dance at the highest level but is also inspired by popular culture, working with artists such as Kylie Minogue. Since the premiere of ‘360°’, Rafael has created several pieces for the Sydney Dance Company including ‘we unfold’ (2009), the award-winning ‘6 Breaths'(2010), ‘LANDforms’ (2011), ‘2 One Another'(2012) and ‘Project Rameau’ (2012), a collaboration with the Australian Chamber Orchestra. In addition, he has remounted outstanding repertoire from Bonachela Dance Company such as ‘Soledad’ and ‘Irony of Fate’ in 2010 and ‘The Land of Yes & The Land of No’ (2011). In 2012, Rafael was appointed Curator of Spring Dance, the Sydney Opera House’s annual international contemporary dance festival.